Due to their language compatibility and shared cultural space, the states of former Yugoslavia apparently make for “fertile soil” in which to plant a new-old media market and to root a new-old regional audience. What, exactly, is at play here? Sheer economic interest or a desire for political and cultural influence? In the contexts of economic crisis and political instability, how does the arrival of these global media influence the media systems in the region’s countries? How and why has legal regulation contributed to the positioning of these outlets? Do they enhance professional standards, and if so, how do they enhance them? Three years after Al Jazeera, the first global media player to do so, had entered the Balkan region, October 2014 saw the launch of another international outlet that now broadcasts throughout the region – N1, a regional partner of CNN and a cable television broadcaster operating under the auspices of the United Group, the most powerful telecommunications company in the territory of former Yugoslavia. In the same month, Rossiya Segodnya, Russian international news agency, launched its Sputnik project, an online news and radio broadcast service that was to broadcast in 30 languages and in 34 countries. In January 2015, Sputnik launched a Serbian language online news and radio broadcast service in Belgrade. The regulatory frameworks defining the status of the global media companies’ outlets and their relationships with certain political players have been somewhat controversial. This points to a presence of various interests tied to their operations in Serbia and the wider region. Prior to the launch of N1, new media legislation was adopted in Serbia. Media Observatory covered this in a December 2014 article. At that time, we learned that the modification of media-related laws (Law on Electronic Media and Law on Public Information and Media) whose adopted versions finally allowed distributors/operators to provide content, was a direct result of lobbying efforts on the part of the United Group and KKR in Brussels and Belgrade. According to Jugoslav Ćosić, N1’s programming director in Serbia, the desire of the United Group,2 majority-owned by the American investment fund KKR, to offer “a solid, professional and respectable news channel,” precipitated the outlet’s launch. The N1 television channel has been registered in Luxembourg and is owned by the company Adria News. Meanwhile, Adria News Ltd. is a group that produces programming, in Serbia, for its employer in Luxembourg, from whence the programming is transmitted. The United Group is the leading pay-TV platform in South East Europe, encompassing SBB, the largest cable operator in Serbia, Telemach Slovenia and Telemach BiH, the largest cable operators in Slovenia and Bosnia and Herzegovina, Telemach Montenegro, and Total TV, the largest satellite platform in the South-East European region. Additionally, the United Group owns Grand Production, a music and television production company, as well as the Sport Klub channels, the sporting channels with largest audience shares in the region. He says parts of the government and the government-influenced media have been openly hostile to N1 since the beginning of its operation. “It’s been labelled pro-American, anti-government, pro-opposition, and even accused of being a mouthpiece for the CIA,” Ćosić adds. 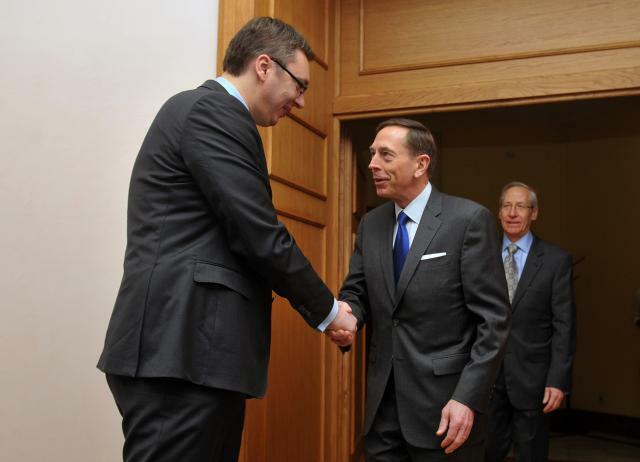 A mere few days before the press conference, Vučić met with David Petraeus, the chairman of the KKR Global Institute and a former CIA director, with whom he had also been meeting as the “problematic” articles of media laws were being modified, in April, 2014. The most recent meeting, held in May 2016, concerned potential new investments of the American investment fund in Serbia. In contrast to the Prime Minister’s successful business relationship with, and significant interest in, one of KKR’s leading executives, he uses less than friendly tones when communicating with N1 journalists. While N1 is a private media outlet, Sputnik is a Russian state radio broadcasting service. Legally, it operates in Serbia as a branch of Rossiya Segodnya, a Moscow-based international news agency owned by the Russian government. “We’ve simply adapted to the local legal framework, and I think that the laws here are, in principle, quite good,” states Ljubinka Milinčić, the chief editor of Sputnik in Serbia. According to her, compared to numerous problems (e.g. operation bans, trouble getting accreditations, etc.) that Sputnik is being forced to overcome in order to operate normally in other countries, particularly in the EU, its launch in Serbia has transpired with no government interference, and the outlet is operating with no difficulty whatsoever. “Setting aside the trouble we are facing from the European Commission, we’ve had no problems here,” Milinčić adds. Quite clearly, the EU has been setting guidelines on how to respond to the increase of Russian media activities in EU’s Eastern neighbour states and in the membership candidate states. For instance, the Polish Institute of International Affairs, which a number of analysts consider one of EU’s most influential think tanks, has published a manual that analyses “Russian propaganda” and recommends ways to counter it. The topic of Russian influence has been sparking similar debates in Serbia. As this research was being conducted, the Helsinki Committee for Human Rights held a series of public discussions in Belgrade, Niš and Novi Sad titled “Serbia within Russia’s geostrategic positioning”. The Center for Euro-Atlantic Studies published an extensive study titled “Eyes Wide Shut: Russian Soft Power Gaining Strength in Serbia – Goals, Instruments and Effects”. One of this NGO’s chief financiers happens to be the European Commission. In their reporting on international affairs as well as on internal politics in Serbia, Sputnik and N1 have no qualms about displaying their political and ideological leanings. On the other hand, the most recent composition of the Serbian National Assembly is home to several parties that declare themselves as being “pro-Russian”. Waxing and waning of political fractions inevitably imprints itself on the situation in the media field. The only question is whether the conduct of the media directly mirrors the power relations between political groups. This, according to professor Snježana Milivojević, is where the true problem lies, since “democracy” and the new media context have only produced one form of pluralism, namely the pluralism based on political parallelism. “In the countries of the region, pluralism corresponds, pound for pound, to the pluralism in politics and the parliament. Efforts are limited to ensuring that the number of [a political party’s] representatives in the National Assembly corresponds to an appropriate number of members within [public companies’] managing boards, and to an appropriate amount of air time in the media,” professor Milivojević notes, concluding that this constitutes a “fairly vulgar parcelling of public space,” and is an indicator of how politics dominates media. The entry of global media presents a challenge not only to the region’s markets and political power relations, but to their regulatory frameworks. We enquired with the Regulatory Authority of Electronic Media in Serbia (REM) under what conditions it had granted broadcasting licenses to N1 and Sputnik, and were informed that neither license was granted in Serbia, i.e. that according to the existing local laws this had not been necessary. The first portion of the authority’s reply relates to N1 and says, “Luxembourg’s broadcasting services regulatory authority (ALIA) has granted to United Media s.à.r.l., a media services provider, the license to broadcast N1’s programming in the territory of the Republic of Serbia.” Regarding Sputnik, the regulatory authority replies: “The provider is providing services through a global information network and is therefore not obligated to acquire a license to provide media services from the regulator.” One could say that this legal situation speaks quite eloquently to the importance of re-examining the national regulation of how the outlets of global media operate. As it turns out, the cross-border, global dimension of media and their new technological operating platforms are not merely testing regulating capacities, but the entire national media system. Media producer and theoretician Stanko Crnobrnja also notes that the most recent influx of foreign media into the market has been caused by the new media legislation adopted in 2014. “These laws allow for complete non-transparency of ownership and have enabled foreign media companies in Serbia to operate in total secrecy,” Crnobrnja claims. 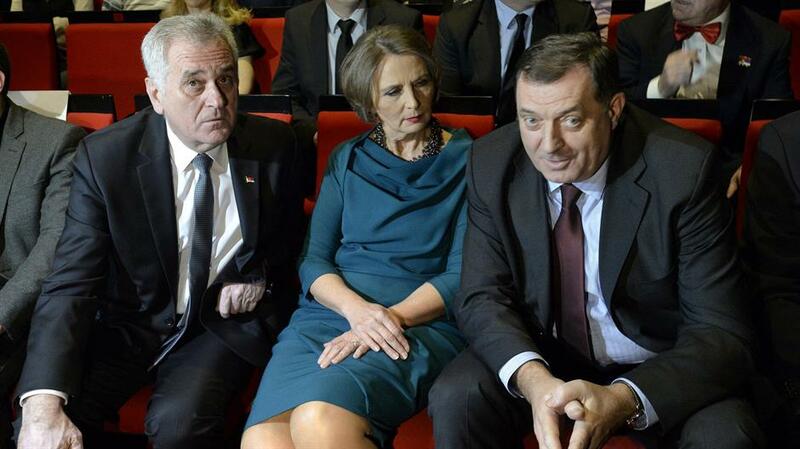 Milivojević reminds us that, in fact, this is the second wave of foreign media to enter Serbia and the wider region. The first wave mainly bought up the print media. The first, as already stated, is the technological capability that creates a space of operations for media that are very influential in national media systems but in no way depend on them. As the following two factors that influenced the arrival of foreign media, professor Milivojević identifies the changes in the cultures of media and, above all, journalism. The evolution both of media and of specialisation in the fields of media production has deeply changed the realm of mainstream media. “What was traditionally considered ‘watchdog journalism’ has moved from large media to small organisations, specialised in investigative reporting. Consequently, traditional journalism, the kind practiced at television stations and in print media, has ceased performing that function,” professor Milivojević says. She adds that these social changes within the media world highlight the significance of independent funding sources in enabling the survival of the media that adhere to standards of integrity. All of the factors described above have resulted in shifts within the audience, which now makes new demands and follows media in new ways. “Media operating on new platforms and offering different content seem to be more in line with the new audience and its sensibilities,” Milivojević concludes. In the region, the common market and the audience’s new appetites present large foreign media conglomerates with an opportunity to expand their influence over programming and politics. N1 operates as a digital (TV, web, mobile) news broadcasting platform, publishing content 24 hours a day, 7 days a week. Three production centres, located in Belgrade, Zagreb, and Sarajevo, broadcast the programming. Four of the programmes are identical in all locales: Pressing, N1Info, Infobiz, and Scena. Dnevnik, the central news programme, and Novi dan, a morning programme, are local and only cover domestic topics. Apart from television programming, N1 actively utilizes all capacities of its website and other social networks. Asked to explain what differentiates N1 from other television broadcasters, Ćosić replies that apart from broadcasting its content in three of the region’s major centres, the broadcaster’s main advantage is its capability to respond to unforeseen developments extremely quickly, and to accordingly adjust its programming scheme. “Also, I believe our programming has substantially raised the level of critical and investigative reporting on the work of the government,” he notes. Local-regional reporting has been singled out as one of N1’s main characteristics. The broadcaster employs a little over 200 media workers. “Our working conditions are excellent, thanks to the seriousness and the strength of our investor. Journalists, production department, and the administration focus solely on their specific tasks, unburdened by the numerous problems that plague the operations of most media,” Jugoslav Ćosić claims. As evidence of the outlet’s success and the public trust it enjoys, N1’s director points to the audience share – second highest among the channels in cable distribution, including the national broadcaster’s channels – of his outlet’s multi-hour Serbian election coverage on 24 April 2016. In April 2016, the rs.n1info.com website received 2,282,464 visits, while rs.sputniknews.com received 510,360. N1 uses its Facebook account to gather the viewers of its channels from all three major regional centres. The account has 119,630 followers, while 27,394 users follow Sputnik Srbija’s account. Sputnik currently employs 40 people in Belgrade. Asked about Sputnik’s business operations, editor Ljubinka Milinčić explains that the outlet receives state financing from Russia and therefore does not have to rely on commercial income. “In this way, we are not relying on sponsors, on advertisers, or on the state [in Serbia],” she stresses and points out that, in the current media environment, this is a privilege and a rare position to be in. She makes it clear that expansion within the region is a priority for Sputnik. “Currently, 20 radio stations in Serbia, Montenegro and the Republic of Srpska are waiting to begin airing our programming,” Sputnik’s editor says. She states that the outlet’s influence can be measured by how many people are accessing its website and by the number of times it is quoted in other media. On a daily basis, she claims, the number of quotes can reach anywhere between 200 and 350. “You can hardly go a day without hearing on RTS (Serbia’s public broadcaster) or a number of other media that they’ve picked something up from Sputnik,” Milinčić points out. The Sputnik news agency operates via a website and four half-hour radio programmes. Three times a day Vesti (News) is broadcasted, while Intervju (Interview) is aired in the evenings. On Saturdays, Sputnik airs a two-hour cultural programme on the Studio B radio station, while on Wednesdays Radio Novosti airs Svet sa Sputnjikom (World with Sputnik), also a two-hour programme. All stations that used to carry the Voice of Russia now broadcast Sputnik content (seven local radio stations in Belgrade, Novi Sad, Požarevac, Aranđelovac, Kruševac, and Niš). Foreign policy prevails in the programmes of Sputnik in Serbia. “Russia simply felt the need to launch a media outlet through which it could say what it thought about certain issues,” Ljubinka Milinčić says, noting that what separates Sputnik from other media is a different perspective. She compares the difference between The Voice of Russia and Sputnik to the difference between the Soviet Union and Russia. For the purposes of this article, we used a small sample of N1’s and Sputnik’s programming to follow their reporting and gain a modicum of insight into their editorial approaches. Our content analysis indicates that both outlets follow markedly divergent sets of criteria in selecting their topics and interviewees, and that they foster different attitudes to the government and to domestic and international social and political issues. In addition, we were given access to the results of a study that the Novi Sad School of Journalism conducted for the project “Monitoring of Media in Serbia during the 2016 Election Campaign,” which includes information on N1 reporting. On 9 May 2016, 13 May 2016, and 18 May 2016, we followed Sputnik’s Vesti programme (airs 1:30 PM) and N1’s Dnevnik programme (airs 7:00 PM). On 9 May we focused on their coverage of Victory Day and Europe Day. Sputnik dedicated almost the entire duration of Vesti to Victory Day coverage, including a report from Moscow, a report on Victory Day celebrations in Serbia, and an interview with President Tomislav Nikolić. N1 treated Victory Day as a regular news topic, devoting more attention to celebrations of Europe Day in Serbia. Dnevnik’s central news piece was dedicated to details regarding the demolition of buildings in the Belgrade neighbourhood of Savamala on election night, 24 April 2016. On 13 May, we examined how the two outlets covered the announcement of pro-opposition and pro-government protests in the Republic of Srpska. Sputnik’s news programme extensively covered the topic, but failed to record a single statement by an opposition player. In addition to coverage of pro-government viewpoints of these events, the remainder of the programme was dedicated to analyses and commentary of the American-Russian foreign policy context. N1’s Dnevnik covered the protests in the Republic of Srpska in its central news piece, dedicating significant air time to voices supporting the opposition and critical of Milorad Dodik’s government. The piece was supplemented by an N1 journalist’s live report from Banja Luka. On 18 May, we paid particular attention to the replacement of 14 editors at RTV, the public broadcasting service of Vojvodina. Sputnik did not cover the event at all on that day, either on Vesti at 1:30 PM or on its website. N1 picked the replacement of RTV’s editors as the central topic of Dnevnik, and ran ten related news pieces on its website on the day itself and on the following day. Comparing the programming policies of Sputnik and N1, the chief editor of New Serbian Political Thought magazine (NSPM) and deputy in the newly comprised Assemby of Serbia as a member of Democratic Party of Serbia, Đorđe Vukadinović, finds that Sputnik is less likely to criticise the government than N1. Đorđe Vukadinović feels that both outlets are having a basically positive impact on the Serbian media environment, and claims that, all things considered, N1’s readiness to critique the government has made the citizenry more objectively informed. “Since the Serbian media firmament, especially its electronic, television sections, is utterly closed to any sort of criticism of the regime, and especially of Aleksandar Vučić, those with a balanced editorial policy end up looking like oases of freedom and objectivity,” Vukadinović explains. The question presents itself whether domestic media are able in any way to compete with global conglomerates. Financial instability seems to be the main obstacle to this. Media autonomy requires economic autonomy. Al Jazeera, N1, Sputnik, Radio Free Europe and other media with stable funding from abroad are basing their “independence” on their relative freedom from local economic and political factors. The financial stability enables them to maintain networks of offices and puts at their disposal more up-to-date technologies, while the enhanced editorial independence can serve as a foundation for keeping the public informed in a more beneficial and more objective manner. If we consider the lack of critical approaches and public interest topics in the domestic media, it becomes clear that the influence exerted by foreign-owned media in the region will only continue to grow. In some ways, this development imperils local media communities. Stanko Crnobrnja feels that the dominance of SBB in the field of internet and telephone distribution presents a serious danger to the sustainability of media in Serbia, i.e. that the lack of legal protection for domestic production is gravely threatening the survival of independent domestic media creativity, as well as that of public broadcasting. “If Arabs and Russians ever decide to seriously compete in the Serbian market, they will be at a serious disadvantage compared to Americans. However, once they do decide, this will signal the end for domestic media, particularly the electronic/digital ones,” he prognosticates. “N1 and Sputnik are decidedly ambitious and impactful, and their influence is likely to grow. At the moment, Sputnik is only a website and a radio news service with a considerably lower reach than N1, which is a television outlet broadcasting through the most influential cable operator. There is no equivalence here. N1 is stronger and more influential, but Sputnik has made great strides towards the first serious Russian media initiative in the region,” the chief editor of NSPM Đorđe Vukadinović told the Media Observatory. There have been no official statements regarding a potential launch of a Russian television channel in the region, and Vukadinović lists a number of conditions that would have to be met before RT could enter the regional market. As things stand, the direct commercial interest is equally insignificant both to Sputnik, an outlet of a Russian state media entity in Serbia, and to N1, a private American television channel whose owners are achieving their financial goals in the region through other parts of the infrastructure at their disposal. The privileges that these outlets enjoy are mainly reflected in the working conditions they afford their journalists, and in their higher levels of independence from domestic commercial and political circumstances. But primarily their privilege enables them to carry out their key mission, which is characteristic of them both: to spread cultural and political influence. And this is always in direct or indirect service of economic interest either of their owners, or of the governments of their countries of origin. *Tamara Sekulović contributed to the research preceding this article. The article has been prepared with the mentorship support by the members of the Editorial Board of MediaObservatory website.